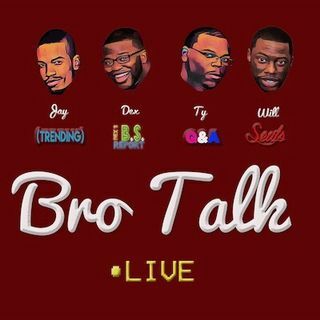 BroTalkLive explores the millennial perspectives on today's social issues, and trends from the perspective of male African-American professionals. BTL: "Y'all Are Going to Jail....PERIODT"
Not just "for the bros"....but millenial perspectives on today's social issues and trends from smart black brothers. "Industry Friends" is Dexter Stuckey's latest podcast venture. This podcast was created to give listeners an audio "foot in the door" to different career tracks (industries). Stuckey sits down with industry professionals weekly to gain insight about their career path, and explore their journey to their current ... See More position.